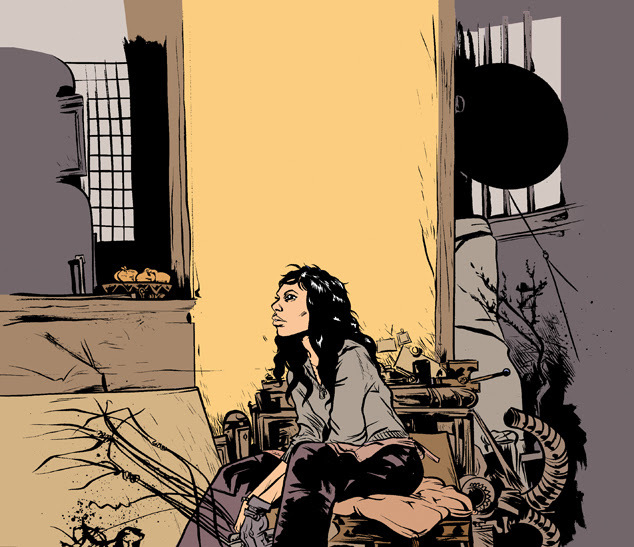 Image Comics is pleased to celebrate two decades of Paul Pope’s (Battling Boy, Batman: Year 100) Eisner Award-nominated, science-fiction/cyberpunk classic Heavy Liquid with an exuberant, all-new, 20th anniversary trade paperback. This gorgeous new edition will collect issues #1-5 of the Heavy Liquid series and feature newly remastered colors by Pope to restore them to his original vision, making them more vibrant and powerful. TIME magazine listed Heavy Liquid among the 100 most important science fiction graphic novels of the decade when it originally debuted in the 2000s, and its relevance and influence continues to grow. This new edition is designed and edited by the artist himself, restores the artwork for the first time to its original “widescreen” format (wider that typical US comics), and features a newly refined two-color palette. 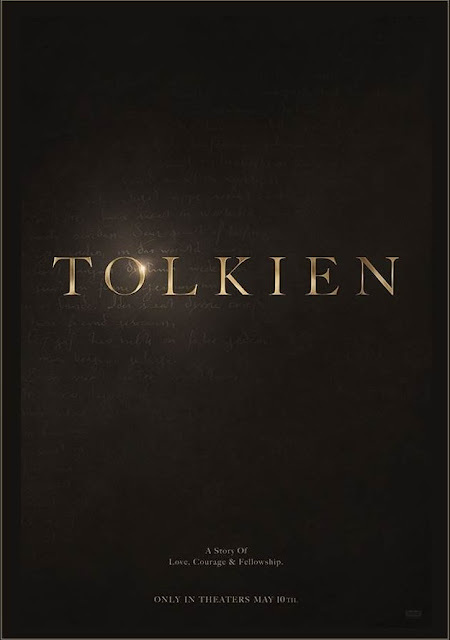 The opening and closing 16 pages are in full color, including newly designed artwork for this edition and all of the original “virgin” cover designs, with logos and added type removed. In a future where New York has evolved into a sci-fi metropolis, Heavy Liquid follows a fugitive called “S”—on the run from a murderous gang—who becomes entwined in a mystery that’s littered with love and drugs. At the heart of this mystery is an addictive substance called Heavy Liquid that’s both a drug and an art form. 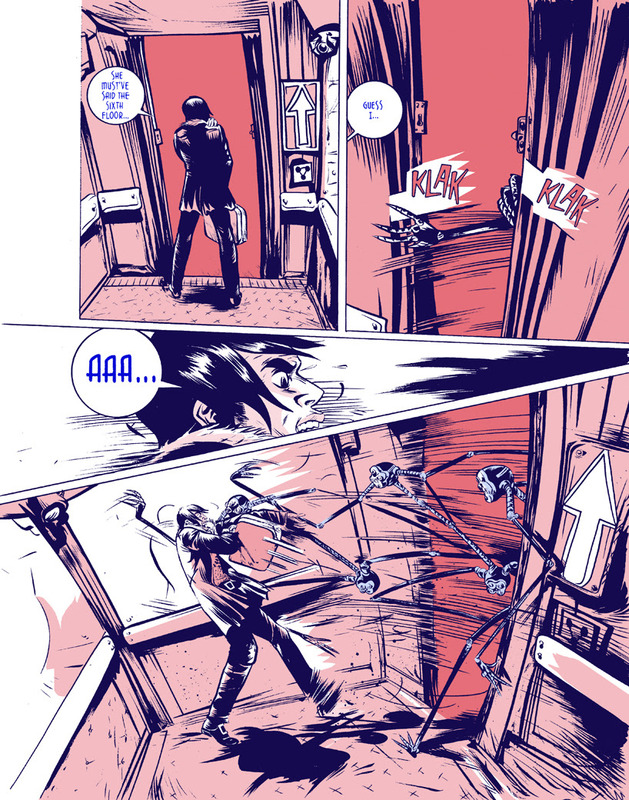 In his search for the one artist skilled enough to render Heavy Liquid into a perfect sculpture, S finds himself battling deadly psychopathic foes as well as the inner demons of addiction. If he can survive these physical and mental trials, S might just discover the shocking secret behind heavy liquid, and find a love he thought lost forever. 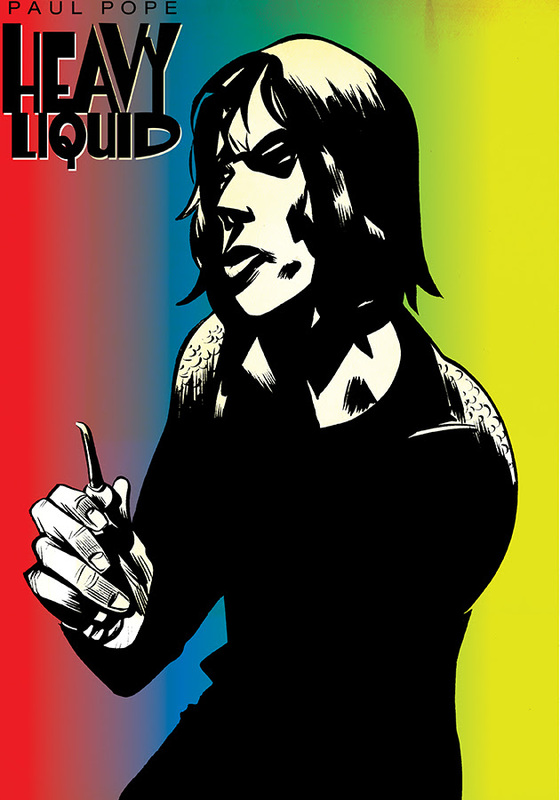 Heavy Liquid 20th anniversary trade paperback edition (ISBN: 978-1-5343-1404-7) will be available in comic shops on Wednesday, June 19 and available in bookstores on Tuesday, June 25. It can be pre-ordered at Amazon, Barnes & Noble, Books-A-Million, IndieBound, and Indigo. Heavy Liquid will also be available for purchase across many digital platforms, including the official Image Comics iOS app, Amazon Kindle, Apple Books, comiXology, and Google Play. 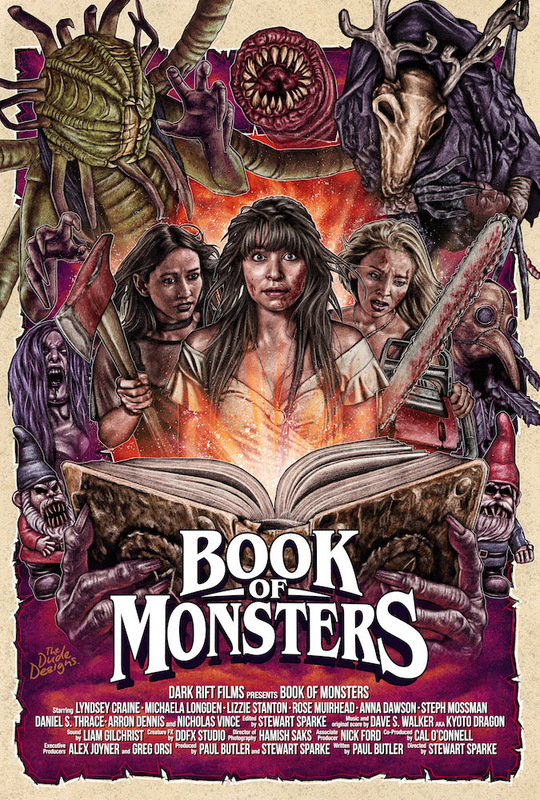 EPIC PICTURES AND DREAD ARE EXCITED TO SHARE THE PRE-ORDER LINK FOR "BOOK OF MONSTERS"
Epic Pictures and DREAD are excited to share the pre-order link for their next monsterific horror, BOOK OF MONSTERS! We are now scheduling interviews with director, Stewart Sparke (The Creature Below), writer, Paul Butler (The Creature Below), and stars, Nicholas Vince (Hellraiser), Lyndsey Craine, Lizzie Aaryn-Stanton, and Michaela Longden. Synopsis: Sophie's 18th birthday becomes a bloodbath when monsters descend upon her house and start to devour the party guests. Sophie and her friends must rally together to send their party crashers back to hell. BOOK OF MONSTERS is directed by Stewart Sparke (The Creature Below), written by Paul Butler (The Creature Below), and starring Nicholas Vince (Hellraiser), Lyndsey Craine, Lizzie Aaryn-Stanton, and Michaela Longden. His film, THE LAST WINTER (Nominated for a 2007 Gotham Award for best ensemble cast), premiered at the 2006 Toronto Film Festival and is in the permanent collection of the Museum of Modern Art. Fessenden directed SKIN AND BONES for NBC TV’s horror anthology FEAR ITSELF and the feature film BENEATH for CHILLER FILMS. He wrote the screenplay with Guillermo del Toro of ORPHANAGE, an English language remake of the successful Spanish film EL ORFANATO. He is the co-writer with Graham Reznick, of the hit Sony Playstation videogame UNTIL DAWN which won a BAFTA. As a character actor Fessenden has appeared in films such as the forthcoming THE MOUNTAIN (Rick Alverson), IN A VALLEY OF VIOLENCE (Ti West), BRINGING OUT THE DEAD (Martin Scorsese), BROKEN FLOWERS (Jim Jarmusch), THE BRAVE ONE (Neil Jordan), ANIMAL FACTORY (Steve Buscemi), WENDY AND LUCY (Kelly Reichardt), as well as dozens of independent horror films including WE ARE STILL HERE, YOU’RE NEXT, I SELL THE DEAD and TV shows including “Louie” and “The Strain”. 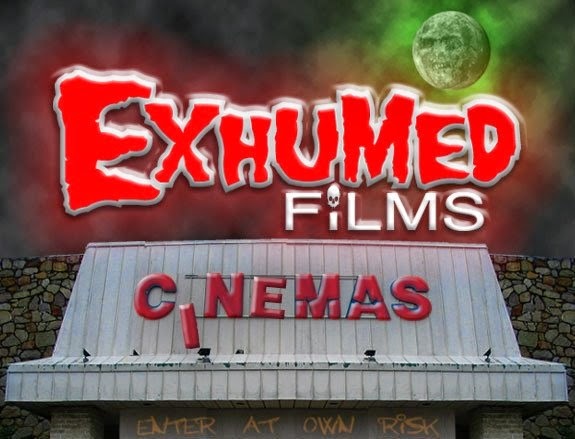 Since 1985, Fessenden has run GLASS EYE PIX (“one of the indie scene’s most productive and longest-running companies”- Filmmaker Magazine), the fierce independent NYC-based production shingle with the mission of supporting individual voices in the arts. SoCal Cinema Studios starts production on multi award-winning filmmaker Dustin Ferguson’s (“Nemesis 5”, “Sleepaway Camp IV”) much anticipated “Meathook Massacre: The Final Chapter,” which is the last installment in this popular cult franchise. 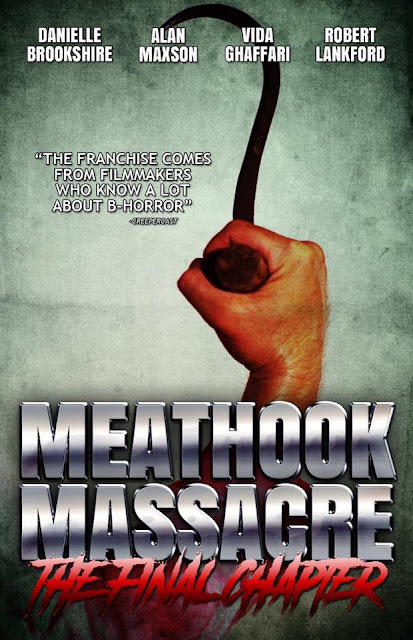 It's been 20 years since Dani (Danielle Brookshire, "Cheerleader Camp To The Death") and her friends were attacked by a meathook-welding maniac in rural Nebraska. Today, while relocating to live in Southern California with her sister Samantha (noted actress Vida Ghaffari, “RoboWoman, FOX’s “The Mindy Project”), she still suffers from nightmarish visions that the worst is yet to come. Soon after a visit from a fellow survivor, "Bubba" (Robert Lankford, "Nemesis 5") and his clan, including "Uncle Swine" (Alan Maxson, "Godzilla: King of The Monsters”), they track Dani down at her current residence for one last showdown. ”It's been 5 years since my creation of the franchise, and I'm honored to return to put the final nail in the coffin - in the wildest installment of the series,” said Ferguson. Ferguson and Ghaffari are repped by Joseph Kelbie Williamson of The Williamson Management. See the brand new trailer and poster for the new horror folktale anthology from the producers of ABCs OF DEATH, featuring work from eight of the best new voices in contemporary horror. 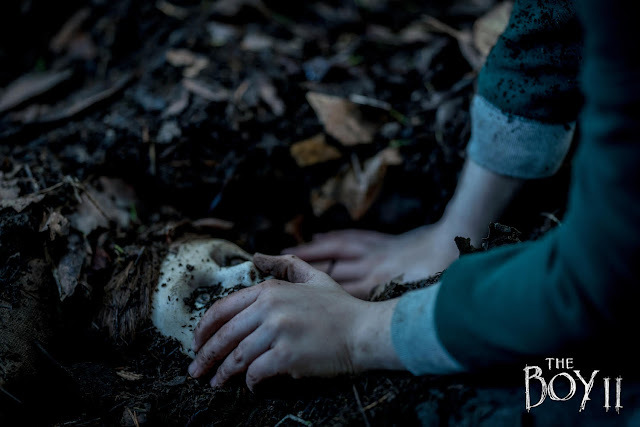 On March 29th, the terrifying new horror anthology THE FIELD GUIDE TO EVIL will be released to theaters across America and all digital platforms. A new poster and trailer for the film debut today at fieldguidetoevil.com. Legion M will be hosting fan meet-ups for THE FIELD GUIDE TO EVIL at select theaters across the United States. FIELD GUIDE meet-up details can be found at legionm.com/evil. 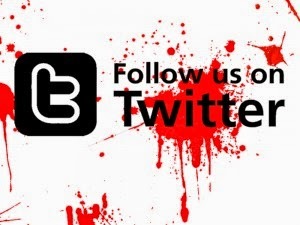 "Being a fan-owned entertainment company, we're not only financially invested in FIELD GUIDE TO EVIL but our fast-growing community of 70,000 members and investors are empowered to share our project with the world so they can experience it with us," says Paul Scanlan, cofounder and CEO of Legion M. "FIELD GUIDE TO EVIL was one of Legion M's earliest investments and we have been eagerly awaiting this opportunity to activate our proven experiential meet-up model across the country, which will eventize screenings and feature cool perks like exclusive FIELD GUIDE merchandise for all meet-up attendees." The film is being distributed by SuperLtd and will be released in select theaters and all digital platforms on March 29th. For more information – including the brand-new poster and trailer, showtimes, ticket information, Q&A screenings, and Legion M fan-meetup events – visit fieldguidetoevil.com. For stills, visit this following Dropbox link. It was announced today that Maisie Williams is set to star in the 90’s-set thriller THE OWNERS, directed by Julius Berg, with a screenplay by Berg and Matthieu Gompel, based on comic book from renowned artist Herrmann and written by Yves H. The film is produced by Alain de la Mata at UK-based Bluelight, and executive produced by XYZ Films. XYZ will handle North American sales with Versatile handling international at the upcoming EFM in Berlin. The film will shoot this spring in Kent, close to London, in an isolated Victorian mansion, with casting by Dan Hubbard. Williams is best known for her role as Arya Stark in HBO’s “Game of Thrones,” which premieres its eighth season this April. Maisie Williams picked up a European Shooting Star Award at the Berlin Film Festival for her role in Carol Morley’s “The Falling”. In 2016 she received the London Critic’s Circle Award for Best Young Performer and The Evening Standard Rising Star Award for the same role. Last year Maisie appeared in “Early Man” with Tom Hiddleston and Eddie Redmayne. She will next be seen in Marvel’s “X Men: The New Mutants” alongside Anya Taylor-Joy, Charlie Heaton and directed by Josh Boone. Williams is repped by Louise Johnston Management (UK) and WME. “I’m very proud that Maisie Williams is joining the cast of The Owners. Her already impressive experience will bring great force and vitality to her character and to the narrative of what promises to be a particularly intense thriller. Beyond her great talent she is an actor possessed of a profound humanity with who I am greatly looking forward to working,” said Berg. Below please find a first look teaser image of STXfilms horror sequel THE BOY 2, starring Katie Holmes. Directed by William Brent Bell and written by Stacey Menear. He’s made a friend. #TheBoy2 coming soon to theaters.